I always promised myself that I will write such post. That I will maybe actually even make such a series about my places in the cities. I even started it one day looong time ago and I wrote this very short post about Vienna. But this one should be a little longer, I hope. Yalla yalla! Let’s go! 1. my’o’my – a cafe in which I’ve spent a lot of time working, but also meeting friends; offering the best smoothies in Warsaw (I always ask for a surprise-one becasue I can never decide which one I want) and the best brownie-cheese-cake that is a combination of two-best-cakes-ever-invented: brownie & cheesecake combined! 2. 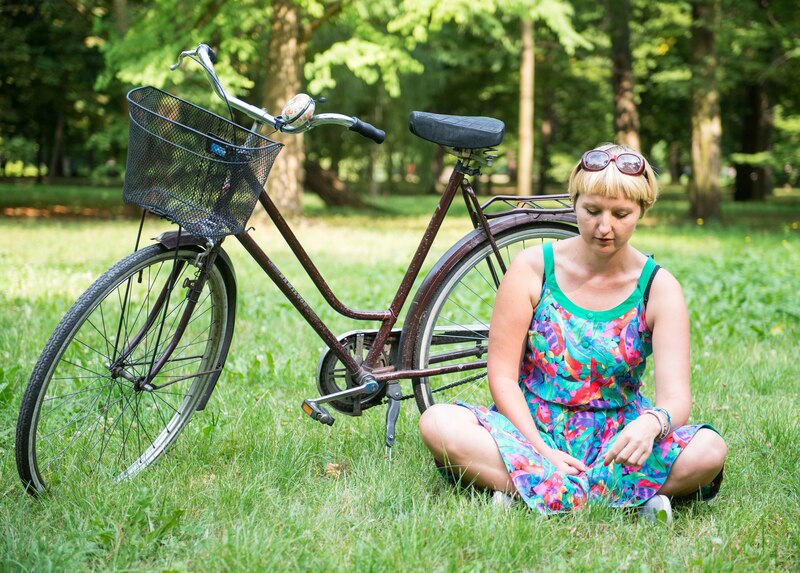 Yoga on Foksal and Dluga St. – my yoga school in Warsaw. I used to practise in there and I always come back there when I need I feel a school to practise. 3. Kinoteka – my most-often-visited movie theatre in Warsaw, numbers of movies watched over there. In the Palace of Culture and Science. I also like the card they offer whcih makes cinema visits much cheaper (matters quite a lot if the visit are frequent). There are other cinemas I visited a few times: Kino Luna, Muranów, Atlantic and even fewer times I’ve been to KC and Kino Wisła. And I don’t think I’ve visited any other cinema in here. 4. The Palac of Culture and Science itself. I guess it doesn’t even require a comment. 5. Krowarzywa – the first (and best for me) place offering vegan burgers in the city. And even better vegan ice-creams! Yummy! 6. Czuły Barbarzyńca – lovely book cafe. A place like I dream about opening myself one day in the future. 7. MSN (the Museum of Contemporary Art) – I even like their building, although I’m obviously supporting their struggle for a new one. I like them especially for their always interesting exhibitions. Simply. Which other museums and galleries in Warsaw? Zachęta is awesome as well. And I always wanted to visit Leica Gallery, but never managed. Polin never managed as well. Aha, and CSW Zamek Ujazdowski has been visited by me from time to time. 8. Łazienki – it feels good to have this huge park in the center of the city. 9. 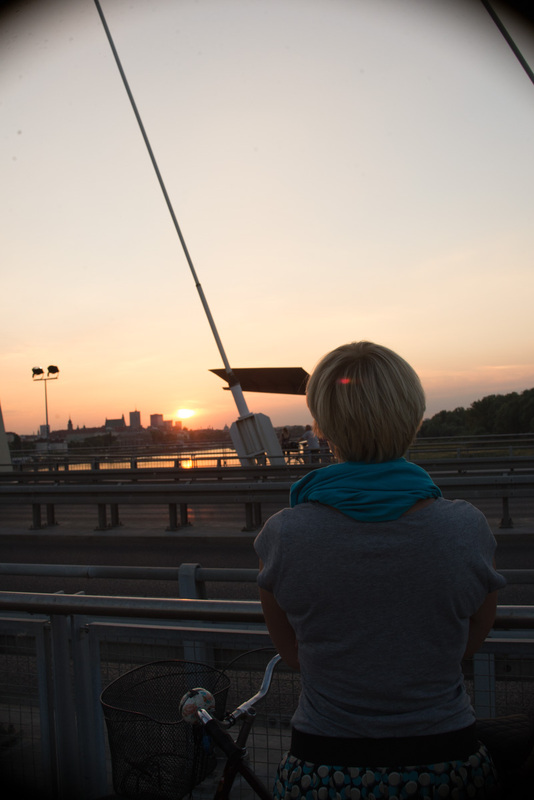 Vistula river – and the fact that more and more is happening around her. The beaches. And Barka is over there as well. Cafe Kulturalna & Bar Studio – both within the Palace of Culture and Science. Each of the different, both equally cool. Relax Cafe Bar – becasue not that many people know about it and it happened that I’ve spent the whole days over there. Mam ochotę – awesome because a local one, not in a city center, but in Ochota district. Green Coffee Nero – the only cafe chain I really like! And especially the cafe on Bracka St. – it used to be my office for half a year! 11. Wola – that is my district. Not the best one, not the favourite one, but mine. Eventually its name is part fo my surname, so it should not be surprising. I used to live in this district for most of my time in Warsaw, so I have quite a lot of sentiment towards it. 12. Świętokrzyski Bride – I’ve loved it since the very beginning of my Warsaw adventure. Especially in the night time and especially on a bicycle. No matter what, it’s always beautiful. 13. Kopernik Science Center – I liked it during the evening for adults only and after I’ve spent an hour in their planetarium. A magical hour. 14. Groole – the best potatoes in the city! 15. Plac Zbawiciela – for the rainbow that is not there anymore. 16. 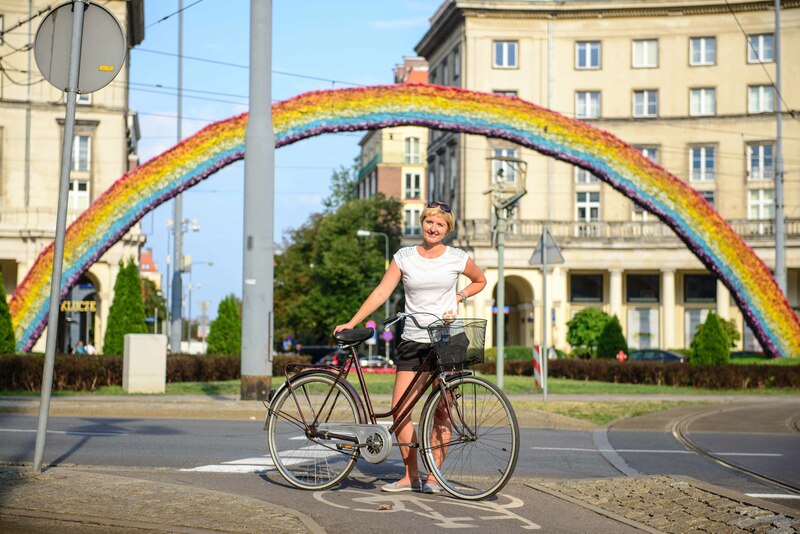 Bike lanes along the Vistula river – hours and hours and hours cycled! 17. Żoliborz & Praga – districts in which I’m always getting lost. Numerous other places come to my mind right now – well, I’ve lived here for over four years. What are your favourite spots in Warsaw?